Cracked and deteriorated asphalt can develop over time. The sun, rain and other natural elements work to break down the surface one way to extend the life of the surface and prevent more costly removal and replacement options is a very effective process called a Fabric Overlay. Seeping water finds its way through untreated cracks in the pavement and left unchecked can lead to more extensive problems. Most cracked and distressed surfaces arise from surface water seeping through untreated cracks in the pavement. Repairing cracks early is always the best process for extending the life and reducing maintenance costs over time. Although reflective cracking cannot be completely eliminated, the use of a fabric overlay significantly slows the reflective cracking process by forming a moisture resistant barrier that prevents water from passing through cracks, joints, and the pavement itself, thus preserving the structural integrity of the base. In addition, the fabric forms a shock absorption layer in the asphalt. This greatly reduces tensile stresses within the pavement, resulting in a dramatic increase in the life of the asphalt overlay. Once the surface is prepared hot oil is applied to the surface, followed by the placement of the fabric. Hot-mixed asphalt is then installed over the fabric and compacted. As the heat and pressure from the compaction of the hot asphalt cause the oil to soak through the fabric – a bond is sealed creating a waterproof membrane. At this point, the old and new asphalt have effectively adhered. 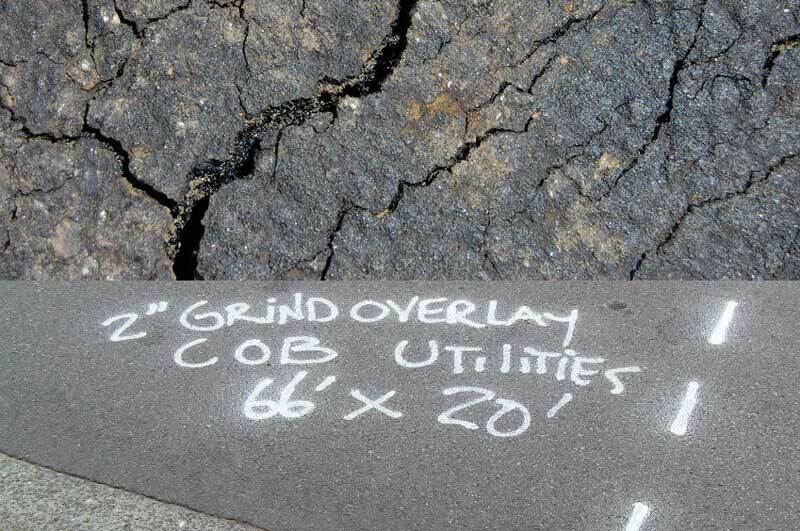 Utilizing asphalt fabric overlays will reduce maintenance costs and improve the effectiveness of your pavement management system without the need to completely remove and replace your existing pavement.